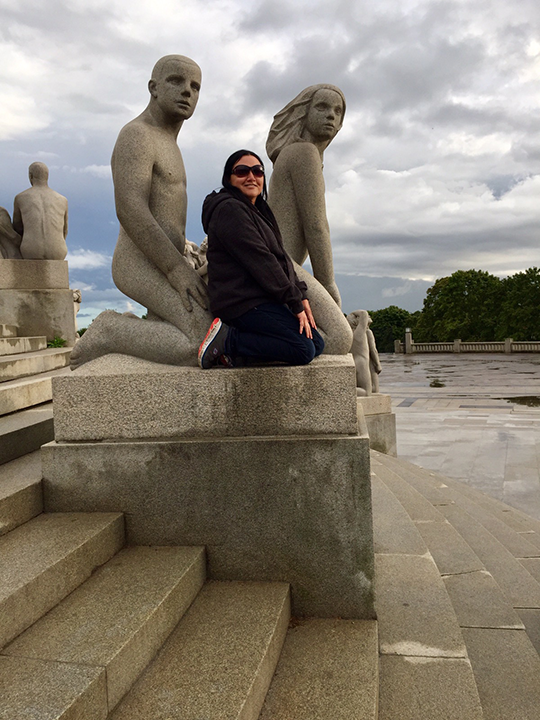 The next stop on my vacation was Oslo, Norway. I stayed at a hotel downtown, across the street from the Oslo Central Station. 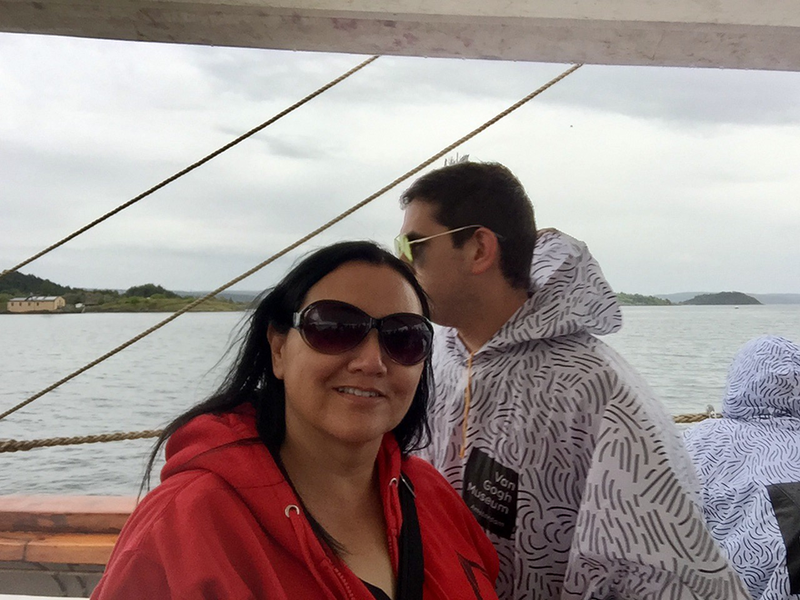 On the Oslo fjord sightseeing cruise, passing the Aker Brygge waterfront through a maze of islands with picturesque summer houses. 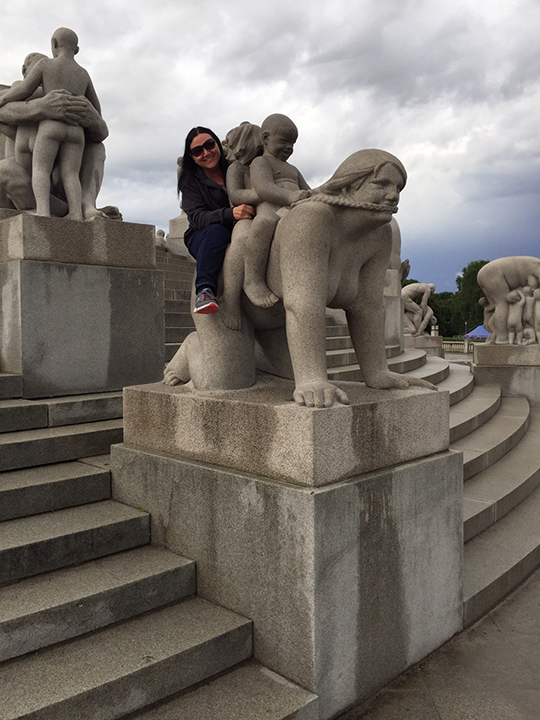 A visit to Vigeland Sculpture Park, with more than 200 sculptures by Gustav Vigeland (1869–1943) in bronze, granite and cast iron, including The Angry Boy (Sinnataggen in Norwegian), The Monolith (Monolitten) and The Wheel of Life (Livshjulet). All of the statues in the park are naked! I couldn’t help myself from “horsing around” with the statues. 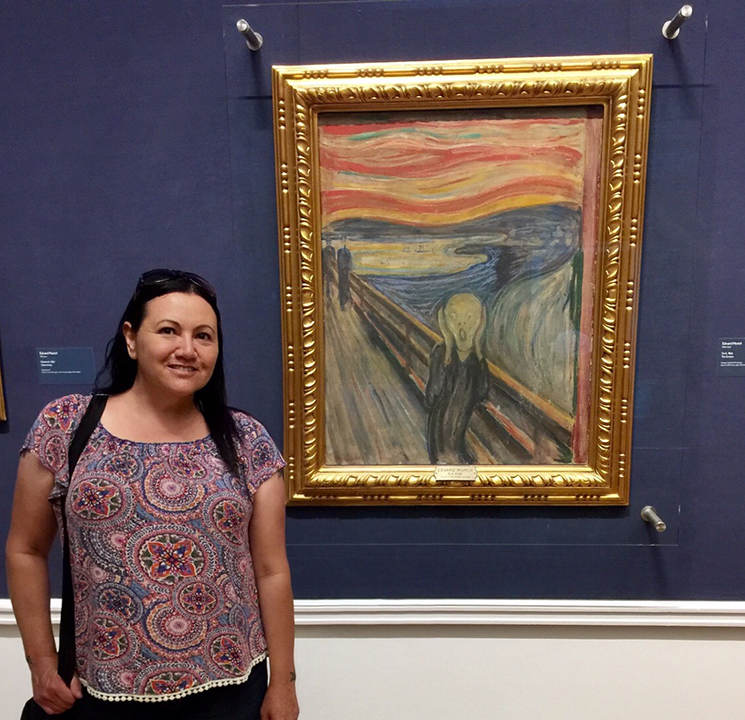 One of the highlights of my time in Oslo was visiting the National Gallery Museum, it’s the largest public collection of paintings, drawings and sculptures. The gallery’s central attractions include Edvard Munch’s “The Scream” and “Madonna”. 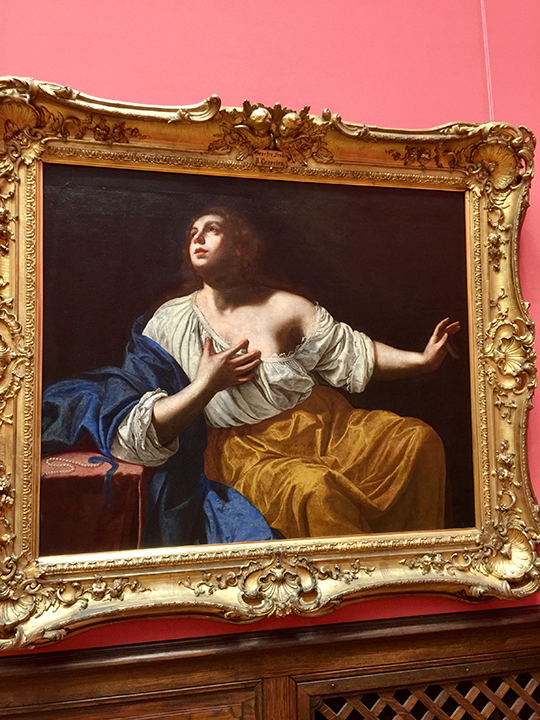 The Penitent Mary Magdalene by the female Italian artist Artemisia Gentileschi is one of the featured highlights from the Baroque era. This is one of my favorite all-time master and it was quite a treat to view this artwork in person. I had an amazing time in the museum. Another post card that I watercolored for a friend back in California. 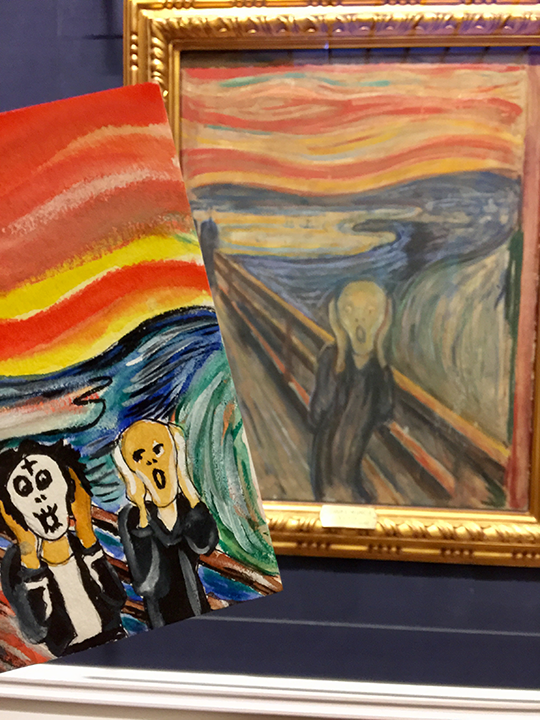 It was inspired by The Scream and my time spent in the museum.